How often do you visit museums? Does it happen once a year or more frequently? Even true art lovers don’t always have enough time to enjoy their favorite works of art. Museum websites are a great solution in this case, ‘cause they let us enjoy art from a distance at any time. Entering such a site it’s possible to spend hours taking captivating tour, discovering vast collection of well-known works. Multimedia exhibitions turn out to be a great source of inspiration and real escape from everyday routine. So, I offer you to enjoy the most interesting ones and learn the secrets of well-done museum websites. While reading this post you’ll find out how they should be done to engage more visitors in and stay apart others. The website of a museum can be much more than a trivial web presence covering the history and offering to view the gallery. Adding something more, it’s easier to welcome people in and make them interested. For examples, it can be a blog or a page with videos (short films, interviews, etc.) from whatever events that happen at museum. The value of guides can’t be overestimated. You can listen to the desired tracks just sitting in the nearby café, on the sofa or when you’re visiting a museum. It’s extremely useful when you’re walking along the exhibitions to admire works of art with audio commentary. Most often, audio guides are available as phone apps. 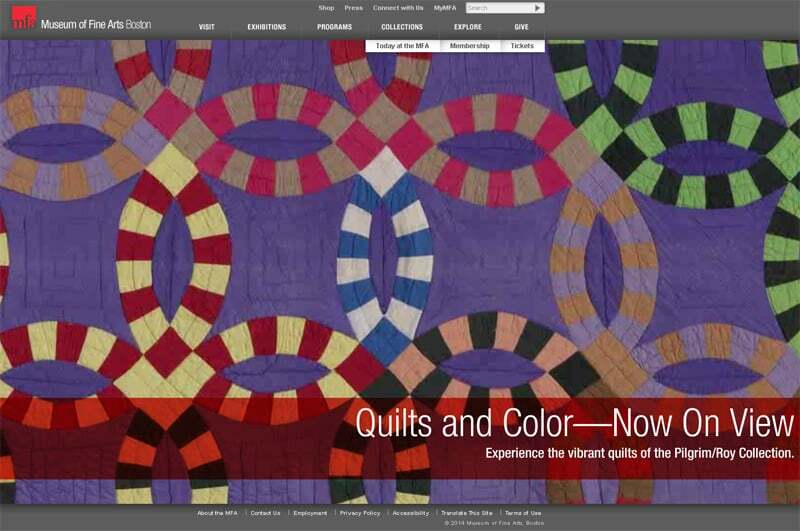 The best and most known museum websites can boast with a good virtual tour. Offering viewers visit selected gallery floors and enjoy exhibitions, they share great delight with people. Hundreds and even more wonderful works of art with captions and sometimes commentaries – this is the main thing visitors go for. If museum cares about more people being aware about all its events, strong social media promotion is a must have point. Twittering, posting on Facebook and Google+ will bring positive results and a number of interested visitors will increase. Just imagine that using an app you can create the picture in Warhol-style, or see how you might look in the dress from Oscar party. Websites offering apps with such activities will easily win visitors’ interest. 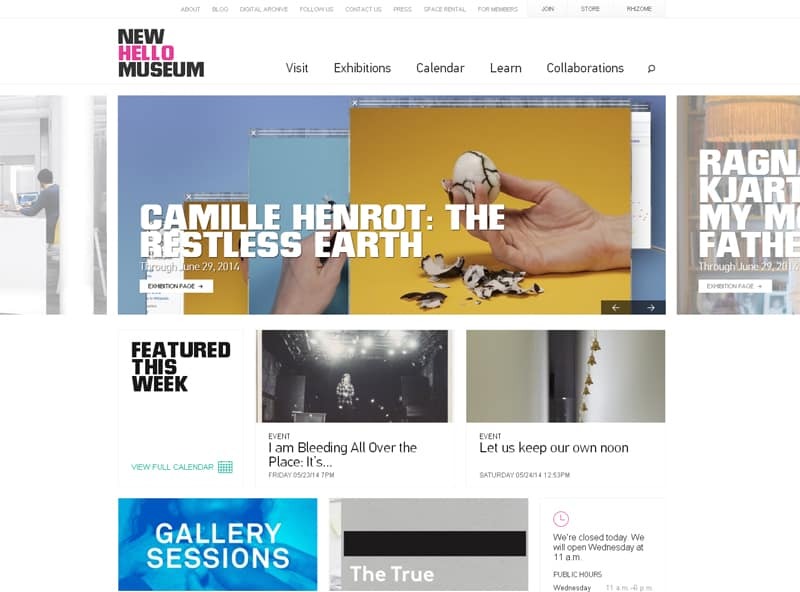 Of course, museum websites should be easy to use, contain general information about the current exhibitions and feature inviting designs, that are quite modern and easy on the eye. Art is the key point people admire such websites, and the main emphasis should be put on it. But design is a power that engages audience, and you’re welcome to see its most bright examples below. The whole name of this museum is American Friends of Modern Art. I like its design with a clean touch, so peculiar to up-to-date websites. 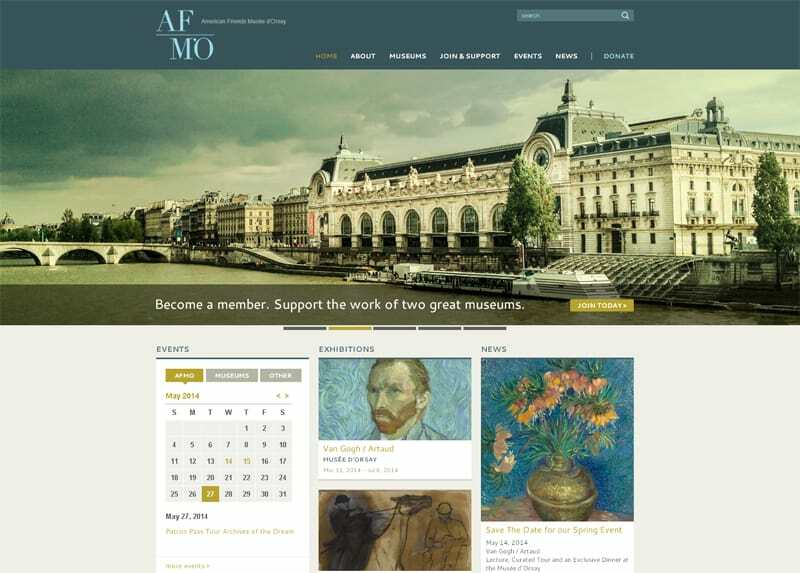 Easy to follow structure, calendar, Join & Donate buttons, general information on the front page – the site shows everything you need to know about this museum. The splash page makes a sound introduction to the story of this museum with all its exhibitions. Large pictures from the gallery, descriptions – you’ll learn a lot about the art presented on the site. The name of this museum is a synonym to modern art. Notice the artistic multicolored implementation of the menu on this site. 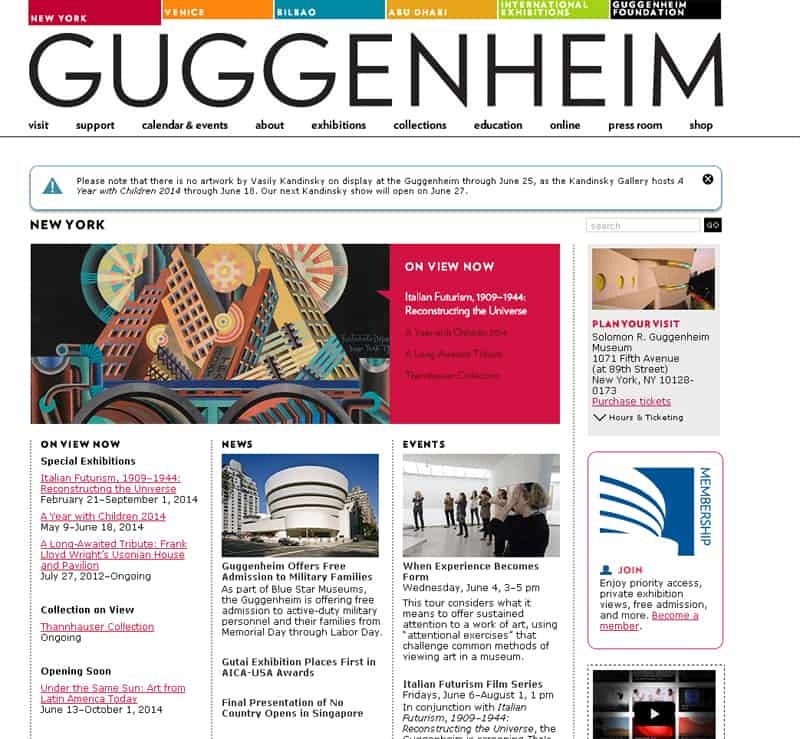 This simple and stylish design is the right choice for a museum website with a focus of attention put on art. Strong multimedia support makes it interesting to be visited. 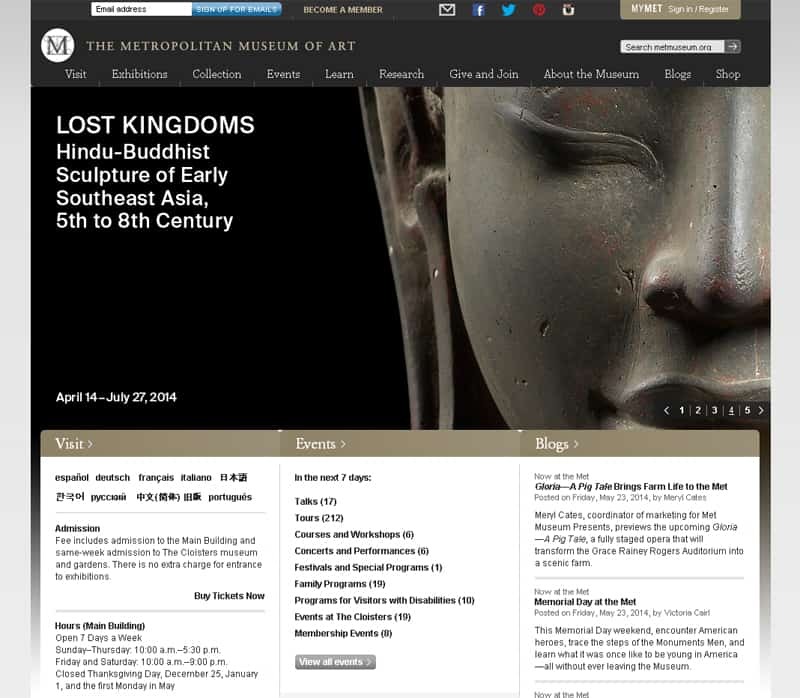 Horizontal scrolling is the choice of this museum website. Multicolored blocks with links to the main parts of the site facilitate the work with it. Video, gallery, blog posts – scroll forward and you’ll find all this. 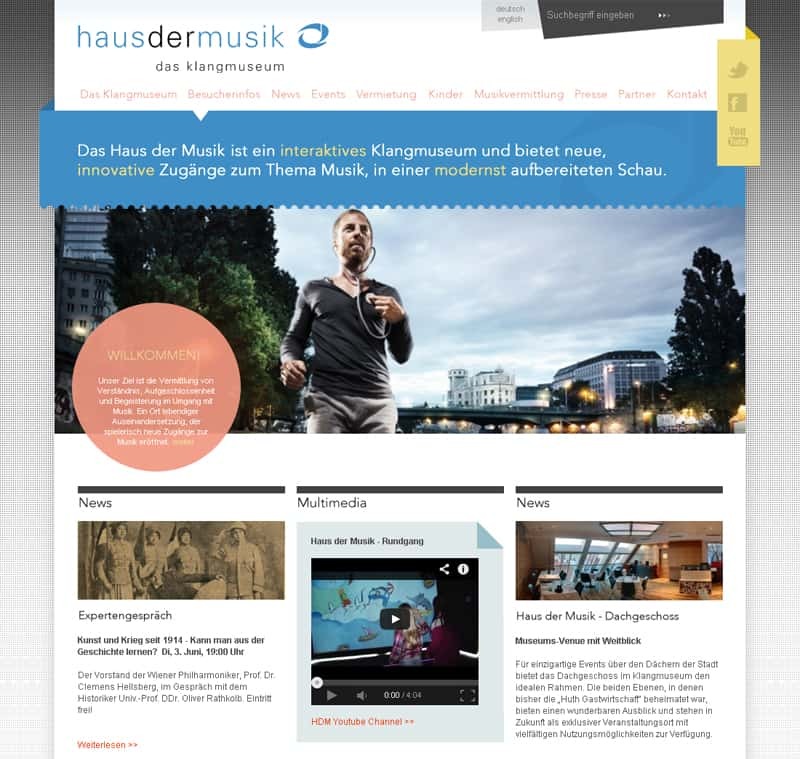 This original museum features the same type of web presence – dark, stunning and eye-catching. 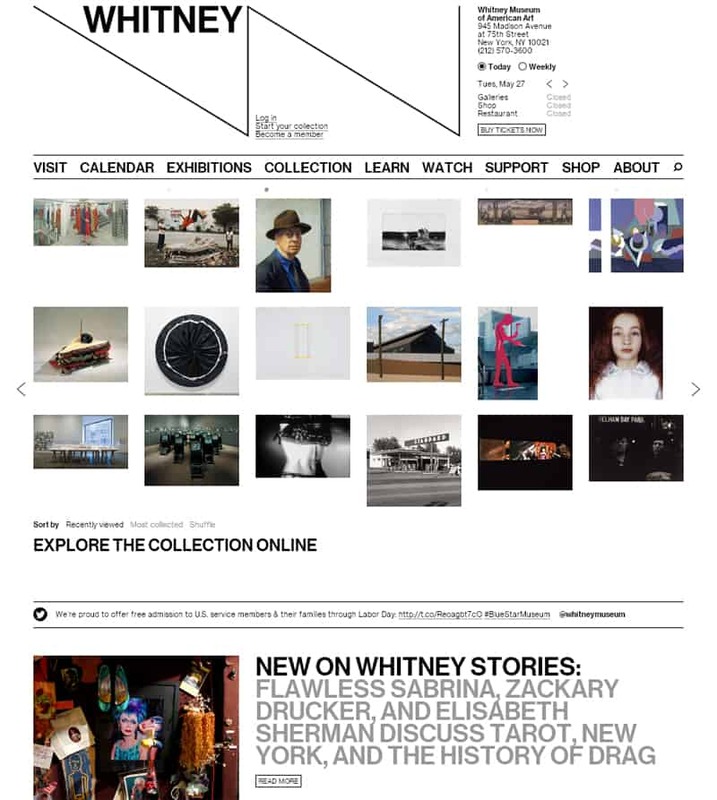 The site is Flash animated with effective visuals from museum gallery that welcomes the viewers in. After redesign this one has gained a new look and now pleases the eye with a calm and inviting atmosphere. Effortless navigation, sections for family & kids, media, community – this site offers everything for your comfortable acquaintance with it. Engaging videos and irresistible gallery are the strongest points of the next website. Captivating virtual tour, engaging videos, opening hours, upcoming exhibitions – the site can be a stunning outlet in your busy days. 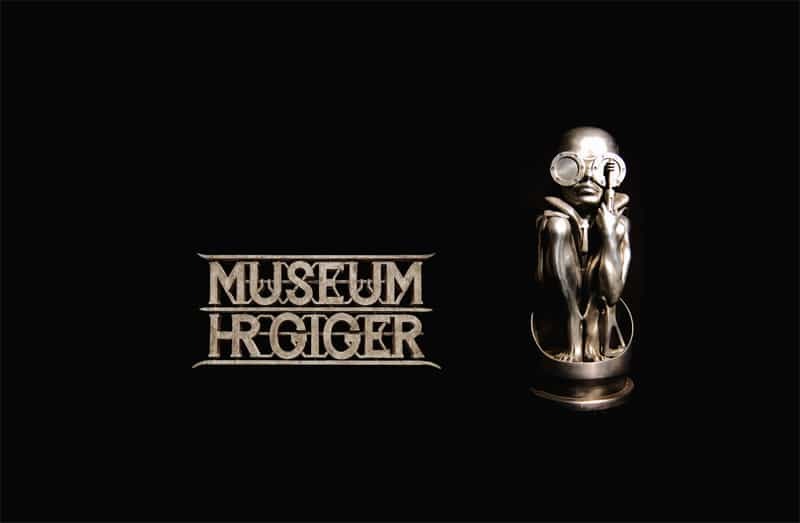 The logo design of this website supports the main idea of this museum. It moves. 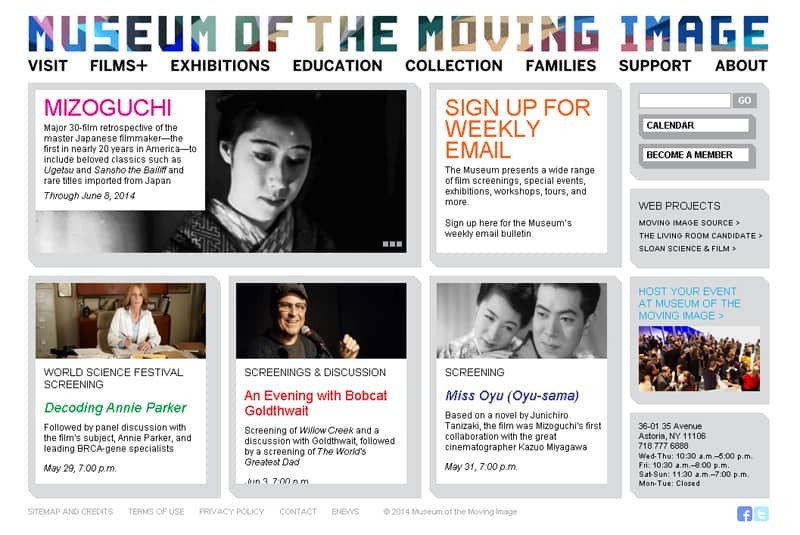 What can better illustrate the museum of a moving image? This easy to navigate and wisely structured website in pastel colors welcomes the viewers with comprehensive lists of current exhibitions and wonderful high resolution photos from the gallery. This museum of modern art is situated in Kiev. Its web house looks extremely clean and cutting-edge. The traditional presentation of information with the emphasis on its visual part (photos and videos) and user-friendly navigation make it pleasant to visit. 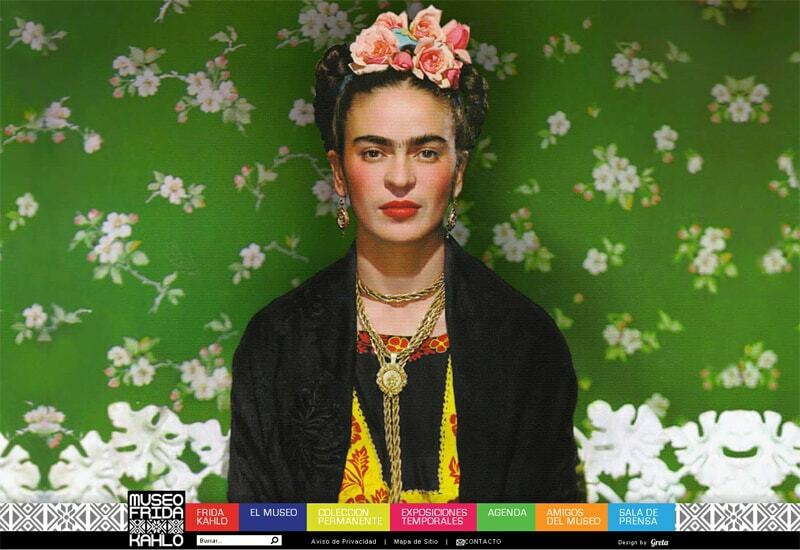 Artists, scholars, and the general public will be amazed with creative presence of this museum online. 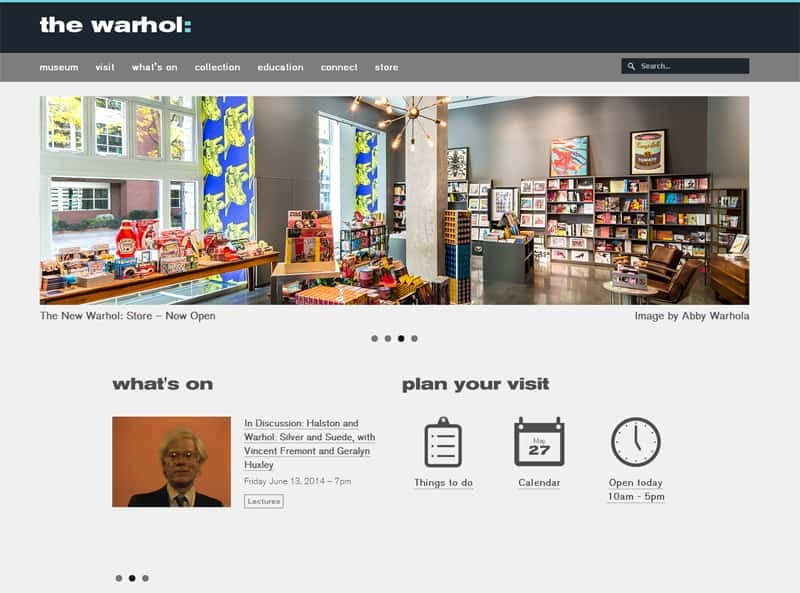 If you want to experience highly creative interaction with art and life of Andy Warhol, visit this site. This site features captivating blog articles that reveal everything you wanted to know about artists and museum’s programming. 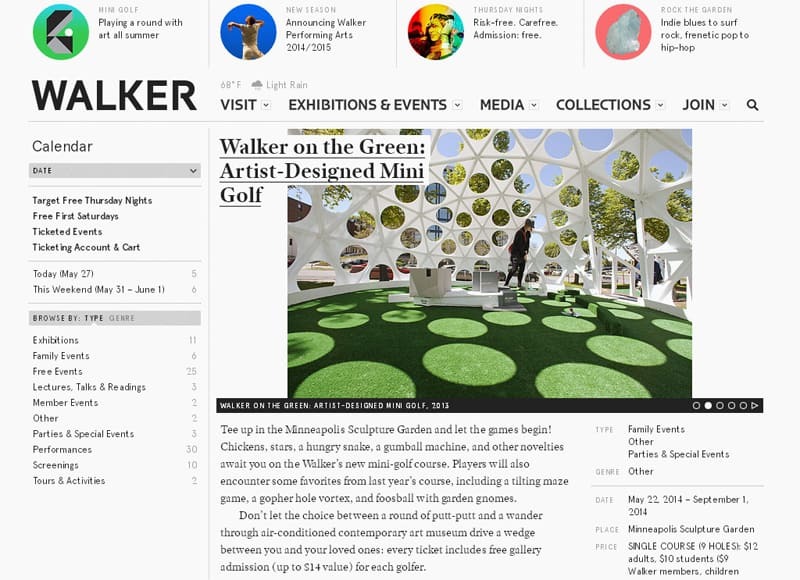 You’ll also find links to a variety of world news that art community should be interested in. Walker channel, interview, good gallery – this and much more you’ll find here. Children’s section, ability to upload you own works and change the pattern of the site (the right sidebar), comment on today’s exhibitions – here is the examples of really interactive website that is interesting to visit. You can spend a lot of time on each site viewing all design tricks that are used there: interactive activities, apps, splash pages, stunning galleries. Of course, knowing all these design elements can come in handy in your own works. But I wish you to enjoy all that wonderful works of art in museum while visiting all its exhibitions. Author’s BIO: Walk with me to learn all you wanted to know about philosophy, psychology and aesthetics of modern web designs. How to find me? Katarina Klementi on Google +. This entry was posted in Web Design on June 9, 2014 by John Walker.